A voice that for years introduced every newscast on WBEN, Buffalo, NY through much of the 1980s has been silenced. 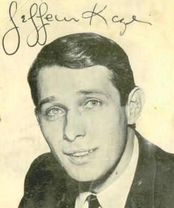 Jefferson Kaye, the onetime WBEN 930 AM morning man, was a broadcast veteran who worked at WBZ 1030 AM Boston, when it was close to a Top 40 station in the mid-60s. 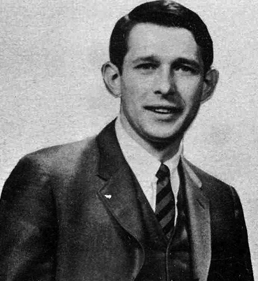 Jefferson Kaye, real name Martin Krimsky, blazed into Buffalo in the mid-60's as WKBW 1520 AM nighttime teeny-bopper leader of "The Teenage Underground" and soon was at the rudder of the K-Big giant ship as the station's program director. Kaye later became pgoram director at KB during its glory days. Kaye was also was responsible for bringing telephone operators, police dispatch centers, fire departments, civil defense agencies and yes, even the Canadian armed forces to their collective knees with his 1968 adaptation of Orson Wells' "War of the Worlds." Folks were calling from all over the eastern seaboard to see if Grand Island was indeed under Martian control. Kaye's decades worth of work as the radio producer for Buffalo Bills Football set him up for a job at NFL Films, which he held when he left Buffalo, voicing countless NFL video compilations. Jefferson Kate passed away in Binghampton, NY. Kaye, 75, died from terminal cancer in his home surrounded by his family. He leaves his wife Suzanne, four children, and seven grandchildren. A four-time Emmy Award winning broadcast announcer, Kaye first made his mark at WBZ, where from 1961-65 he hosted the drive time program as well as a Sunday night folk music program. While at WBZ, Kaye brought back live folk radio performances – and presented at the Newport Folk Festival where Bob Dylan’s now legendary electric guitar performance took place. In the ‘70s, Kaye produced an audio detailing his career at several stations, including WBZ Boston. To Listen, Click Here. In his narration of a 1972 "Programmers Digest" composite, program director Jefferson Kaye uses the term "predictable unpredictability" to describe WKBW. It's an apt description. Personality radio seemed at a crossroads in the early '70s, with the trend toward less talk and more rock evident even then. But in 1972, 'KB was keeping personality radio alive with one of the greatest lineups in Top 40 history. And was it was both predictable and unpredictable as you'll read and hear later. Much of 'KB's success had to do with Kaye, described by afternoon jock Don Berns as "the most innovative and creative" person he had ever worked for. Kaye let his jocks do their thing, not tying them up in a myriad of rules that restricted their freedom. The result was a station that - as Kaye put it - "break(s) all the rules. But then you think, who makes the rules?" The following quote from Berns in Bob Paiva's "The Program Director's Handbook" perhaps describes WKBW best: "The station had a personality of its own, and within that personality each jock had a separate identity that fit within the overall framework of this non-formatted, highly visible radio station. Just about anything could happen on the air (and off) and normally did." This composite, narrated by Kaye, looks at the 'KB jocks of 1972. Jefferson Kaye and WBEN hosted the Academy Elementary School Choir for a special Christmas Eve broadcast, December 1975. Where Have All The KUSC Listeners Gone?